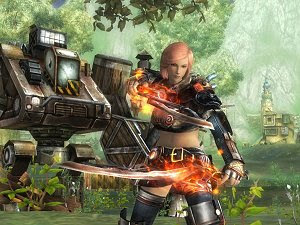 Argo Online is a free-to-play MMORPG that cleverly mixes the best of both worlds: fantasy and steampunk. The large open world offers thousands of quests and two factions that are completely opposed in looks and ideals. The Noblian are adepts of technology and steampunk, while the Floresslah take pride in their relation of mutual respect with nature. Each faction has eight different character classes to choose from, along with an array of pets, vehicles and weapons.